The Popemobile is one of the coolest, strangest, and most Catholic vehicles around. It might seem like its primary purpose is to protect the pontiff, but you'd be surprised to find out that's only a relatively recent development. The pope's been cruising around in specially made vehicles for 85 years now, and some of them are absolutely amazing. Here's a brief history. Kinda hard to have a Popemobile without cars, right? So what did the Pope’s underlings do? They carried him just like you’d expect Cleopatra to be carried. This is called the Sedia Gestatoria, and ostensibly, the idea is to elevate the Pope so that more people can see him. In 1930, Mercedes-Benz, a company that got its name from an 11-year-old Jewish girl, made what is widely recognized as the first bona fide Popemobile, a Nürburg 460 that was stretched a bit to fit Pope Pius XI’s needs, like an elevated throne in the back. He loved it so much he declared it a miracle of modern engineering, even though it was mechanically the same as a production car. 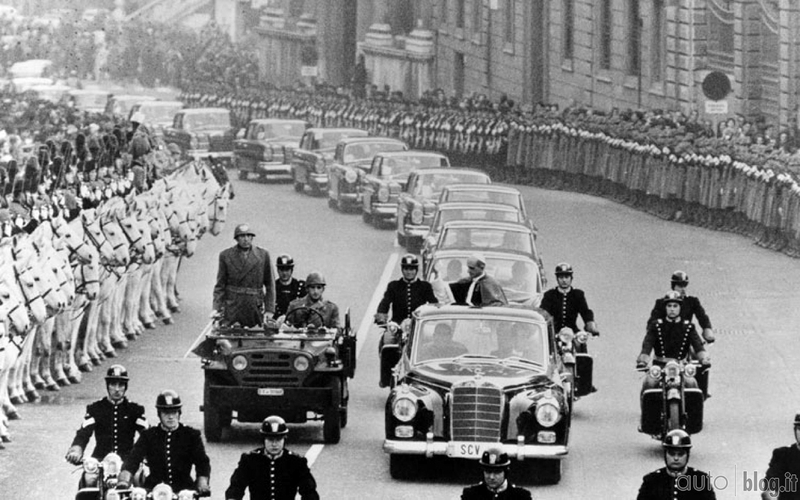 When he took delivery of his Mercedes-Benz 300D Landaulet in 1960—30 years after the first one—Pope Paul VI had something that LOOKED like what we now recognize as a Popemobile. SCV1 stands for Stato della Città del Vaticano. You can probably figure “1” out for yourself. It might seem unfathomable today, but in preparation for his 1965 NYC visit, that’s just what the Vatican did. And only mere months after the Kennedy assassination. 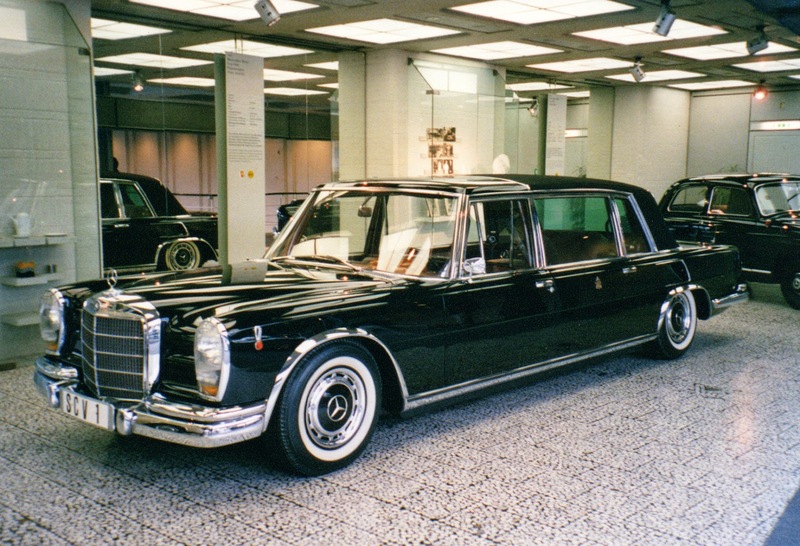 It wasn’t exactly the same as the presidential limo: it had a roof...just not in the back. Worse still, the Pope’s elevated seat ensured he was out in the open, above the security guys standing on specially made boards. To get a bespoke Mercedes-Benz 600 Pullman Landaulet, a.k.a. the most expensive car in the world at that time, all the Pope had to do was ask for one. He was Polish, so when he visited his home country, the industrial truck maker FSC prepped what is easily the biggest and baddest Popemobile of them all: the FSC Star. Granted, the canvas roof for the Pope makes it seem kinda like a Fiat 600 Jolly on copious amounts of steroids, but that doesn’t matter. It’s still badass. 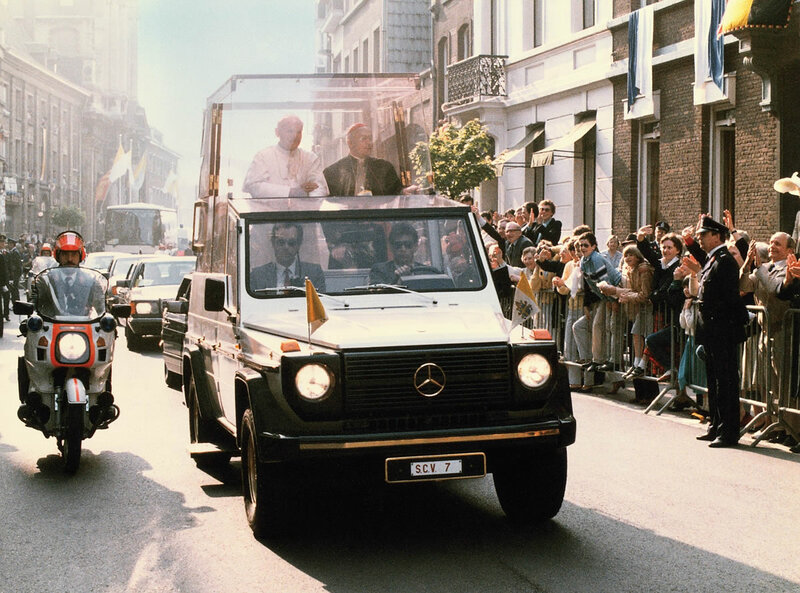 JPII also had Land Rover and Mercedes G Wagon Popemobiles. Even a Fiat made the rotation briefly. It was also under his reign that the term “Popemobile” rose to prominence, with little help from John Paul, as he hated the word. 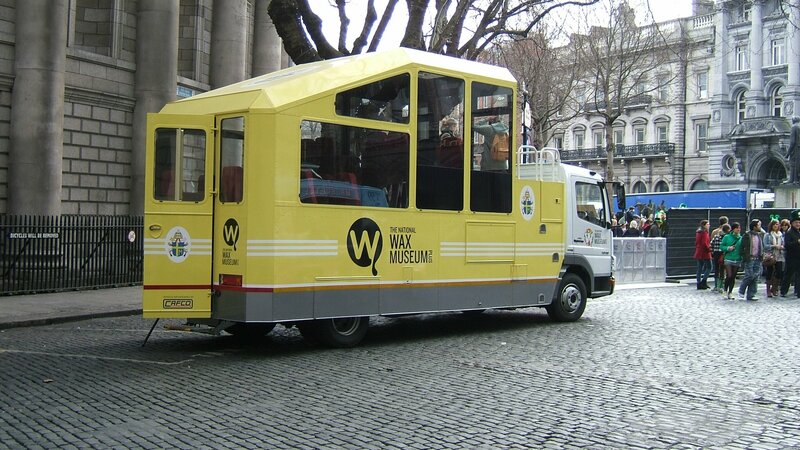 If this 12-seater Ford Transit Van looks kinda like a badass party bus to you, you’re not alone: The Dublin Wax Museum bought it a few years ago, restored it—converting it to Mercedes power in the process—and announced plans to let people rent it for bachelor parties. The requirement of bulletproof glass ultimately resulted in the funky-shaped vehicles you’ve seen for the past couple of decades. For local trips around the Vatican or a few other locations, it’s OK for the pontiff to cruise around in the open air. Granted, it’s not usually in a Ferrari, as it was one day in Maranello in 1988. Renault gave him a Renault Kangoo Maxi Z.E. van for his summer home. Its range was about 100 miles, so he still used the armored Mercedes for longer treks in front of crowds. Of course, Pope Francis being Pope Francis, he still only uses his on major trips, preferring a 2008 Ford Focus and a 1984 Renault 4 as his daily vehicles. Aaron Miller is the Rides editor for Supercompressor, and can be found on Twitter. While thinking about how the top Catholic is schlepped around in a German vehicle named after a Jewish girl, he realized just what a strange world it is that we live in.